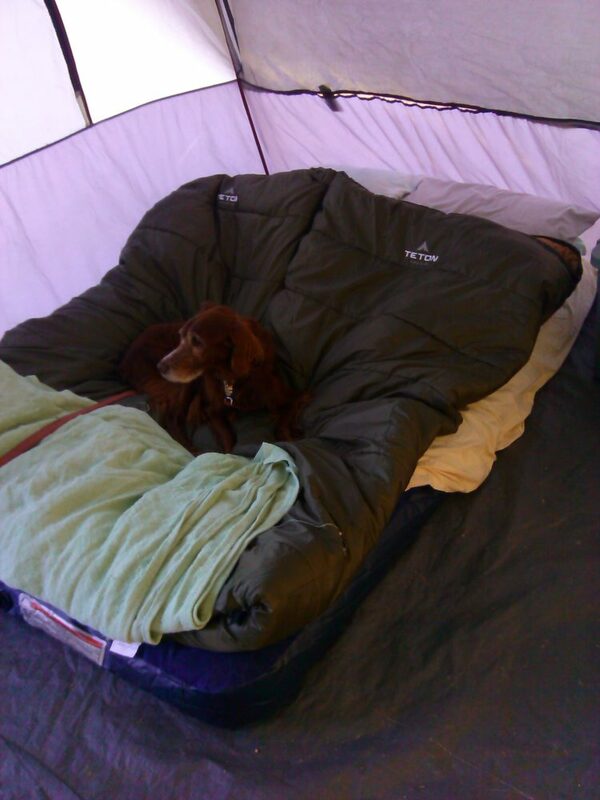 When you’re camping it’s not any fun to sleep on the ground even if you have a snuggy warm sleeping bag. But that’s what happened on our last trip. We inflated the new air mattress and looked forward to a comfortable night’s sleep, which was not to be. Around 1:00 AM we woke up on the ground, the mattress as flat as the proverbial pancake. Thinking that the mattress hadn’t been sealed properly, we re-inflated it again and nestled in. By 6:00 AM flat again. We bought the mattress — a Coleman — at Walmart. There was a big sign by the display saying no returns on air mattresses. I guess that makes sense. You could, if you’re sneaky, buy the mattress, use it for guests staying the weekend, and then return it. Who would know? Fortunately when I explained that the mattress was defective, the store manager finally agreed to refund our money. We are now the proud owners of a very comfy Intex air mattress. Note to Self: Keep all receipts at least for a year ’cause you just never know.